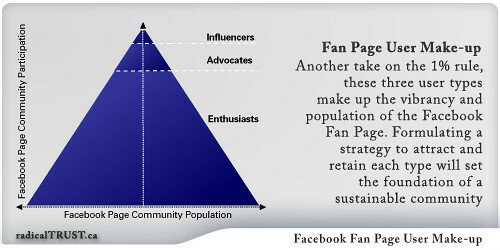 Many nonprofit early adopters of Facebook set up groups as their organizational hubs because that was the only option. Later, Facebook Pages were introduced and many nonprofits have set these up as their institutional hubs. There has been some discussion in nonprofit forums, blogs, and listservs about the pros and cons of Facebook Pages versus Groups for nonprofits. So I tweeted Mari Smith who told me she had something in the works. Well, she just posted something and it rocks. More people can find out about your organization because your Page gets indexed and is search able inside and outside of Facebook. Because the number of Fans you can have is unlimited (whereas the Friend limit is 5,000 on an individual profile). Activity on your Page helps increase “viral visibility” on Facebook. You can establish your brand even further. Although many users have joined brand pages advocating various messages, the average Facebook user doesn’t want content pushed to them, particularly contests or other promotional programs that don’t speak to their overall enthusiasm for a brand. These types of promotions can be supported on the Facebook Fan Page, but should not be the primary focus and should be housed in other digital arenas. Successful communities on Facebook offer an attitude of openness, transparency and enthusiasm - not a technology platform for advertising. As the chart above details, people who join Facebook Pages fall into three different profiles. Mari Smith's post goes on to give you the step-by-steps for setting up a Facebook Page as well as some tips for success. And she made the screencast below - great for visual learners. So, if you set up a Facebook group before there were Facebook pages and you are hoping to use Facebook for external marketing goals - then consider converting your group into a Facebook Page. The Facebook Page FAQ tells how Facebook can convert your group into a Page for you. However, as Mari Smith notes, for optimal outreach you need both a group and a page. I'm hoping she will write a post that says why. If your nonprofit has a Facebook Page, what have you learned about what works? What doesn't work? Good job on assembling this array of resources!! I'm sure we'll see a big surge in Facebook Pages over the coming months as more business user catch on to their power. I'll be blogging more about Facebook's different tools and features specifically for business purposes - I would certainly love to see a mashup between Pages & Groups as each has good features but is incomplete, in my opinion. As my comedian buddy Baratunde Thurston calls the ideal mashups: "Grages" or "Proups." LOL! So much info collated into a great post - only problem was that the 2nd and 3rd pictures/graphs don't show up on my computer - could you provide us some links? Fabulous wrap up, Beth...I'm going to blog it for Shaping Youth too, as I only have a 'personal presence' for S.Y. there and haven't done the 'fan' bit OR the 'page' practice; I've just used it as an easy way to connect w/like-minded agents of change. This is SO helpful. I'm going to forward it to our GWLN.org global graduates too to see if they can 'post a page' and get the conversations global...THANKS! Great post--thanks for the info! I haven't had time to check out the links yet but will definitely earmark this post for future reference. We decided to go with pages rather than the groups for several reasons. Initially, the reason was simple--we didn't want to tie a group to a specific individual; we wanted it to be representative of the assocation. We are still working on our overall social media strategy and it remains to be seen to what extent we want to go with a more informal/personal versus a more formal/professional approach and decided that, for our demographic, probably more professional would be better. We started with a page that specifically ties into one of our consumer awareness campaigns and are getting ready to launch an "offical" page for the association as a whole. 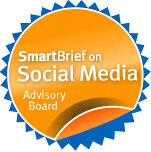 The insights feature of the page we already have up (http://www.new.facebook.com/pages/Listen-to-Your-Buds/29051114922) is giving us an idea of what demographic is expressing interest and already on Facebook, which will be helpful as we tailor our overall social media strategy. We are also looking into using the ad feature to get our message out to more Facebook users. I am soooooo glad for this post! I spent goddess-knows-how-long trying to figure out how to build a FaceBook page. I am normally fairly savvy, so I felt like a complete idiot. Why does FB make it so hard? Thanks for the tip about integrating a group into a page. Really useful!